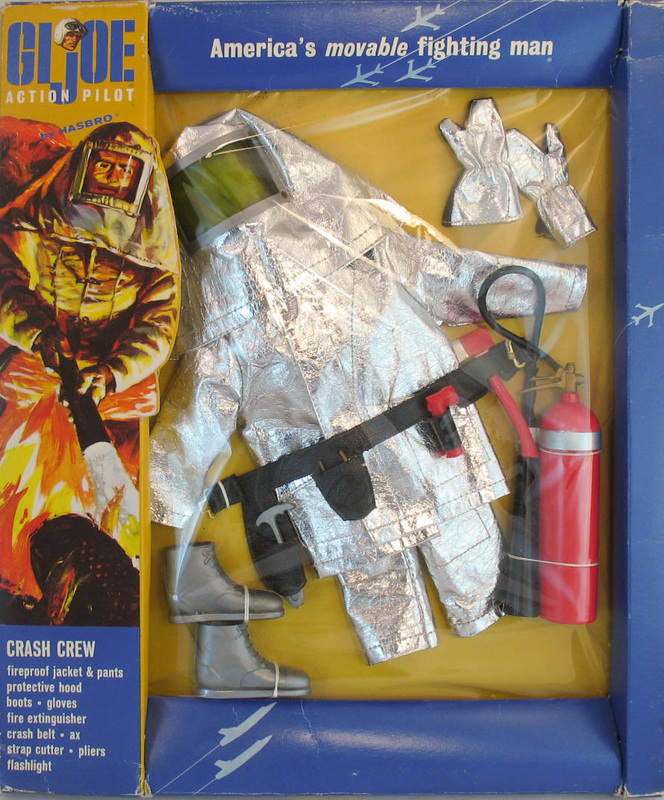 Released in 1966 The Crash Crew set (7820) added some flash to the series with its silver foil fire suit, and some great tools,too. 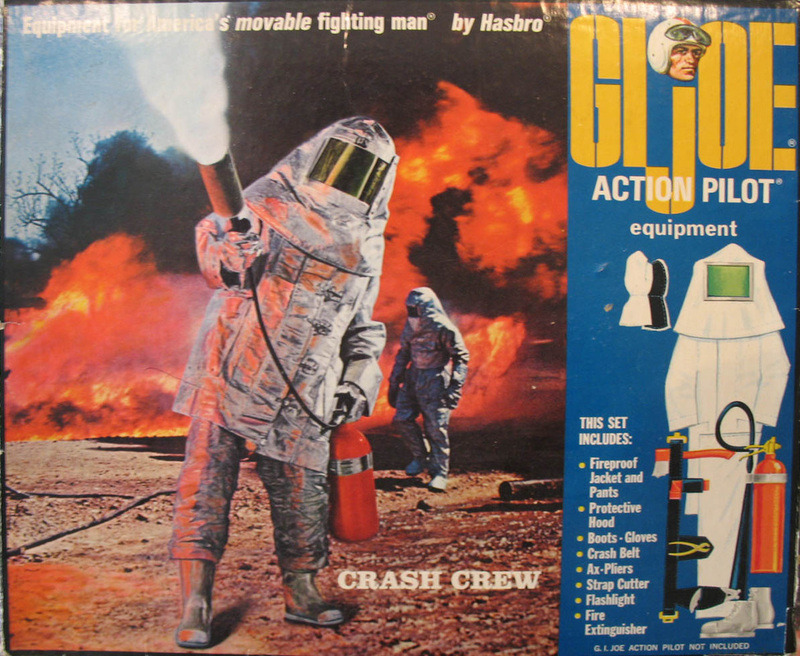 The window box version (above) was available in 1966 and '67, and was released in a photo box (below) in 1968. Photo box lids were made to fit over window boxes, so it's possible to find a window box and photo box lid together. The Crash Crew belt included an ax, flashlight, strap cutter, and pliers. These tiny and fragile pliers are often missing. 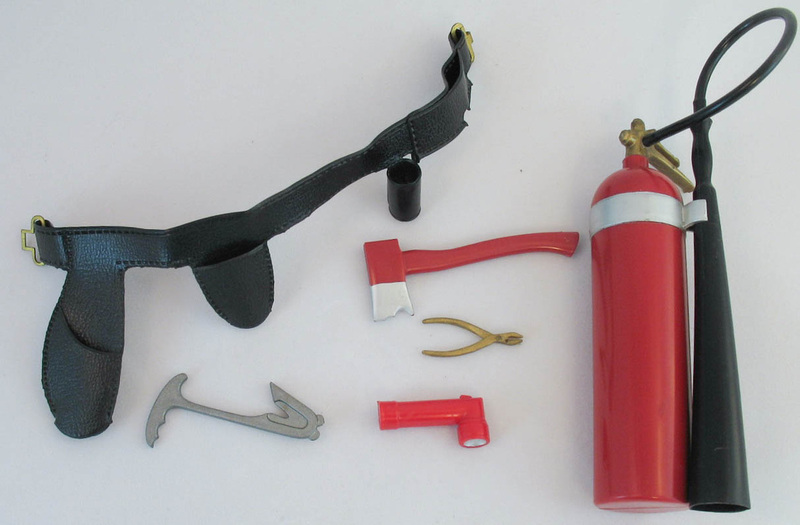 This early version of the fire extinguisher has a gold paint detail where the hose meets the nozzle and a silver stripe painted on the nozzle clip. Those paint applications would disappear with late releases of the set.